Home / Brother / MFC Series / Brother MFC1810 / TN1050 – Genuine Brother TN-1050 Toner Cartridge – delivered FAST & FREE! Quoted page yield approx 1,000 x A4, based on 5% toner coverage per page. Genuine Brother TN-1050 Toner Cartridge – delivered FAST & FREE. Quoted page yield approx 1,000 x A4, based on 5% toner coverage per page. 1. 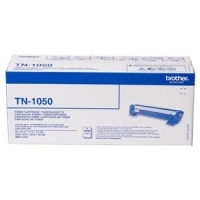 TN1050compat – Guaranteed Compatible Brother TN-1050 Toner Cartridge – delivered FAST & FREE! 1.LC1000BB – BARGAIN BUNDLE! 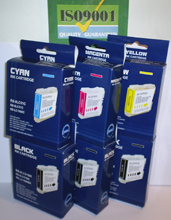 3 x Black and a set of 3 colour guaranteed compatible cartridges – delivered FAST & FREE!